There are some promising events in store for science-on-stage in 2015 as new works premiere and established pieces are revived. 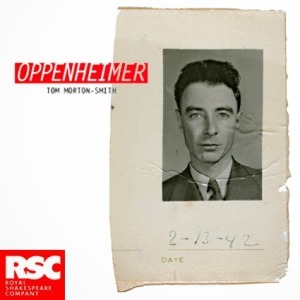 The Royal Shakespeare Company will open its winter season in Stratford-Upon-Avon with a new work by Tom Morton-Smith about the physicist J. Robert Oppenheimer. Depicting work on the Manhattan Project at Los Alamos in the 1940s, Oppenheimer will preview from 15th January and then run in the Swan Theatre until the 7th March. It’s 21 years since Tom Stoppard’s classic Arcadia premiered at the National Theatre in London but it’s only a few weeks until the NT produce new work by Stoppard with a scientific theme. The Hard Problem will be the last production to be directed by outgoing NT director Nicholas Hytner. It promises to be an intriguing production to finish on, as Stoppard tackles brain science and consciousness in his first new play since 2006. The sold out production will be staged in the newly refurbished Dorfman (formally Cottesloe) Theatre and will run from the 21st January to April 2015. The Hard Problem tells the Story of a psychologist at a brain research institute grappling with the issue of consciousness. Also in the new year, English Touring Theatre will take a production of Stoppard’s Arcadia directed by Blanche McIntyre around various venues until April, beginning at the Theatre Royal Brighton on 20th January 2015. With Southampton Nuffied Theatre’s production of Caryl Churchill’s A Number (with stage design by Tom Scutt) to transfer to The Young Vic in London in later 2015 and the Broadway premiere of Nick Paynes’s Constellations, there’s plenty in store for science in theatres in 2015.